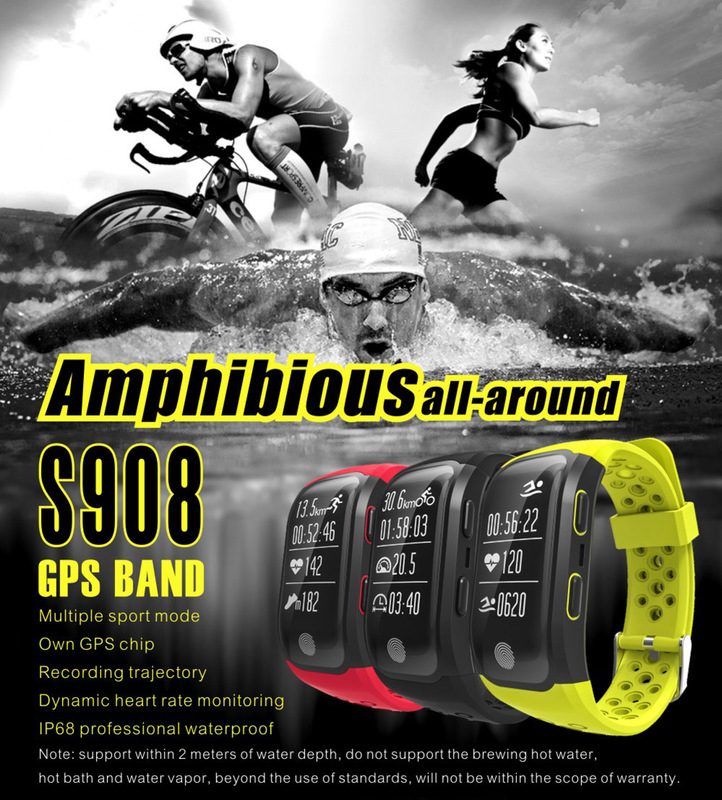 S908 combines outdoor sport functions and healthy functions together, which can really bring big convenience for you. 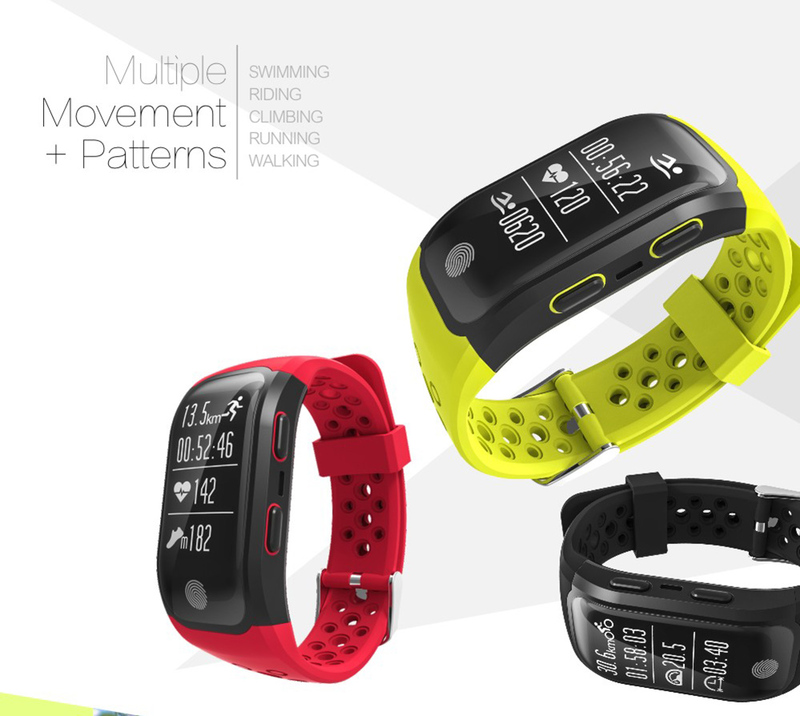 Heart rate and sleep monitor can supervise your physical condition in real time. 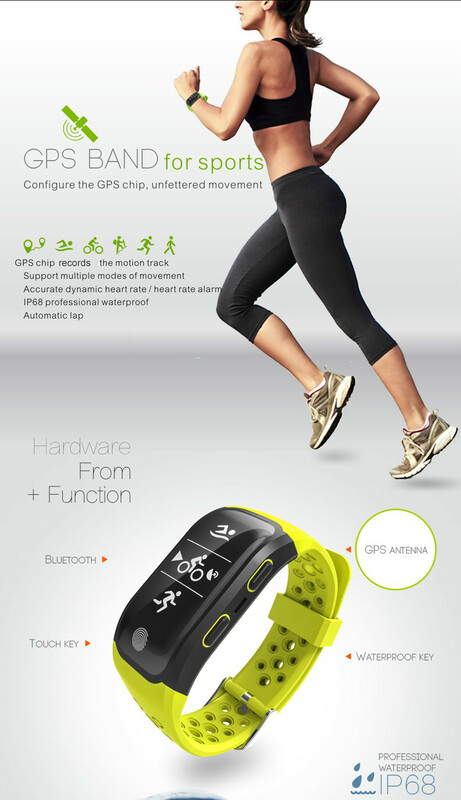 Besides, it is a good helper for outdoor sport persons. 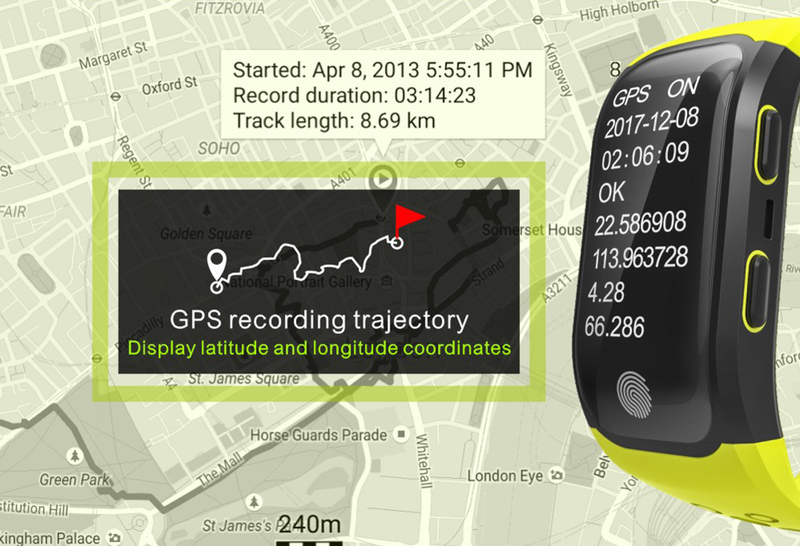 GPS can record your movement trace, speed and distance, and when you run, ride, climb mountains, swim, play golf and so on. 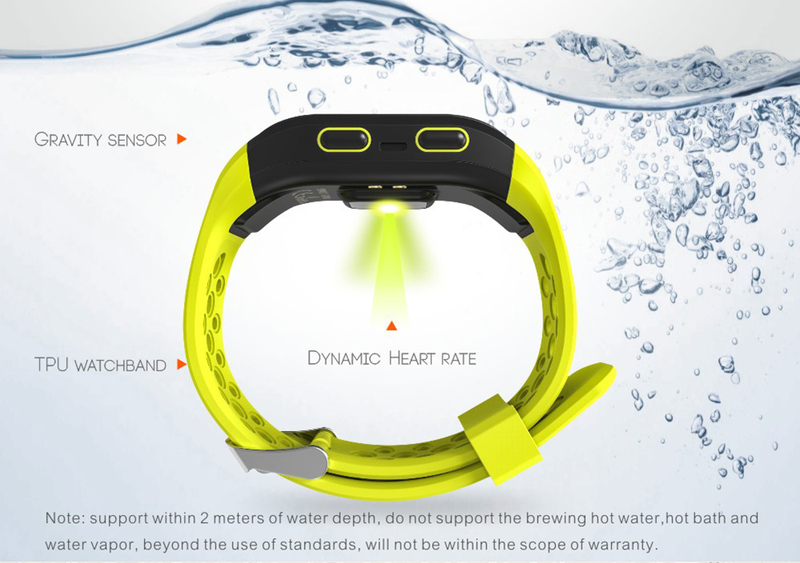 It is a lightweight wrist band, durable, GPS works precisely, heart rate is measured very accurately, long battery life, waterproof (i took shower and washed dishes several times already wearing it), ergonomic (does not disturb you while sleeping), every day I find a new specific feature which keeps me searching/digging, there are 3 apps for Android smart phones - HPlus, HPlus Watch and HPlus Fitness - all of them work and offer different options to play with, price is very good for a GPS band, there is paperback manual in English and Chinese. Still not tried if it's really waterproof, but will try soon. The product is according to descriptions on the site. Very cute, bright color. Screen is very big, great visibility except in bright sunlight. 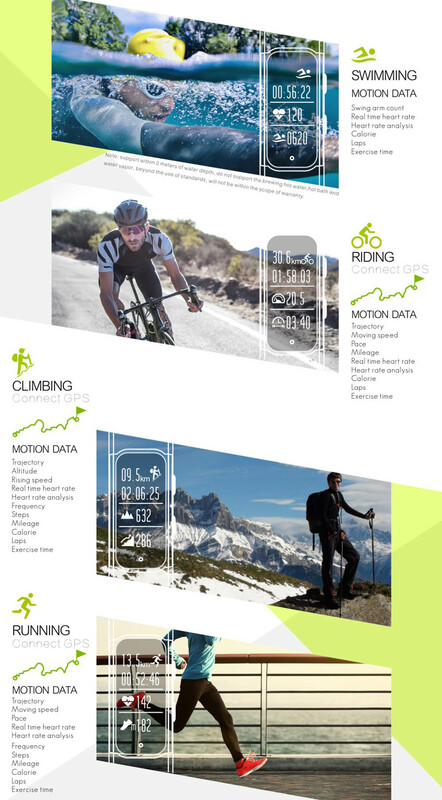 Plenty of tracking modes and personalizstion o+tions. Can be turned ON and OFF to save energy. 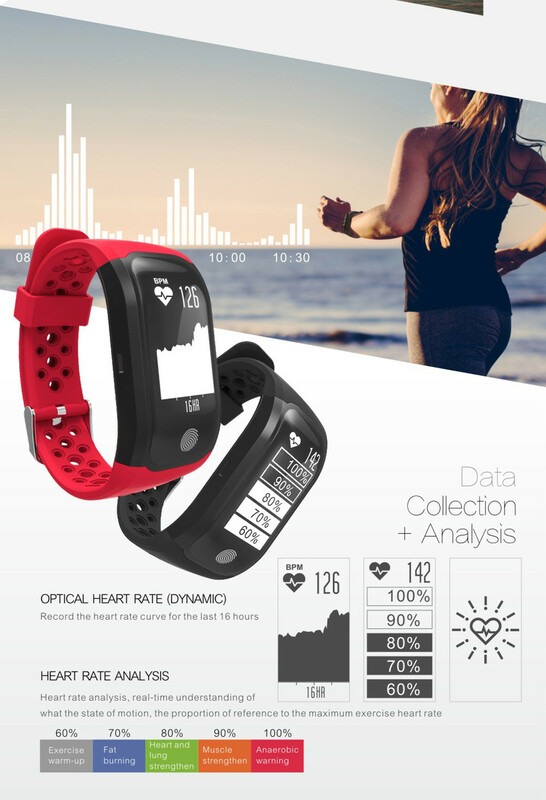 Steps and heart rate tracking seem quite accurate to me.